Mike Riches is President and Founder of The Sycamore Commission. Dr. Riches spent 24 years as a senior pastor before founding The Sycamore Commission, through which he ministers in teaching, training, leadership support, and ministry to churches and church leaders in many countries across Europe, Asia, the Middle East, and in North America. Still currently in full-time pastoral ministry as lead pastor of Harborview Fellowship in Gig Harbor, Washington, Mike is the author of The Living Free Course, Living Free: Recovering God’s Design for Your Life, and co-author of Hearing God’s Voice for Yourself and Others. 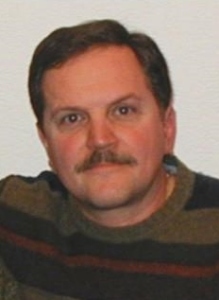 Mike served as a volunteer Chaplain for several years in the South Pierce County region. 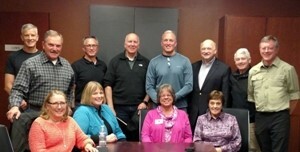 His experience and leadership were well-received by the first responders he served while in that volunteer capacity. Mike and his wife Cindy are the parents of two grown daughters and the proud grandparents of a granddaughter. Dr. Jonez is the Assistant Senior Chaplain for Washington State Chaplain Foundatiaon providing leadership and training to chaplains across the state. Thomas D. Jonez (“Tom”) is also the President of Plumbline Management Corporation & Plumbline Media Group. Dr. Jonez has over thirty years experience in business organizational leadership, including CEO of an INC 500 company, International Telly Award-Winning video producer, Marketing Agency Owner/Director, as well as a business and marketing strategy consultant. 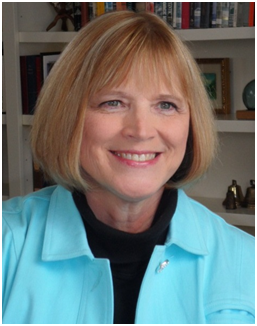 Dr. Jonez has served on numerous boards of non-profit agencies, on a volunteer basis. 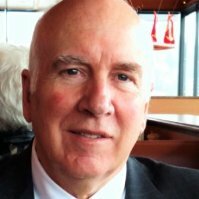 He is a private real estate investor, an international conference speaker, and the author of numerous articles and books on the topics of organizational development, leadership, and marketing as well as a weekly blog on leadership available at www.plumblinemanagement.com. Specialties: Company Growth Strategy, Market Leadership Consulting, Award-winning Video Production, Internet Marketing, Graphic Design, Advertising, Social Media Marketing, National Award-winning Advertising. Raised in the Pacific Northwest, Tom and his wife currently reside in Gig Harbor, Washington. Cynthia Tobias Talley Author of the best-selling book The Way They Learn and in the Best of Broadcast on Focus on the Family radio for 4 years in a row, Cynthia Tobias has a successful background that includes over 27 years of business ownership, 8 years of teaching high school, and 6 years in law enforcement. She has authored 12 books and is a featured guest on radio and television, a popular presenter for business, government agencies, churches and schools throughout the U.S. and the world. She is the mother of twin sons who recently graduated from college, and she and her husband Jack live in the Seattle, Washington area. First woman to travel alone to any of the world’s Poles when she skied at age fifty to the Magnetic North Pole 364 miles without dog sled, snowmobile, resupply or support. At age 60 she walked solo 600 miles to the South Pole. First to walk 1,600 miles across the Gobi Desert at age sixty-three. In a unique study in the wild, Helen lived near a wolf den above the Arctic Circle for a year. Helen won the American national luge championship and represented three countries in international track and field. She has climbed some the world’s highest mountains. 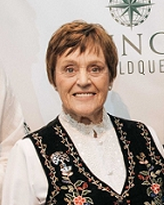 The Explorer’s Club awarded Helen the Vancouver Award for Excellence in Exploration. With presentations to audiences worldwide, she has addressed countless organizations in the last two decades — from one-room schools in the Amazon to the White House. She is a three time best selling author. Helen has an incredible heart for and understanding of the chaplaincy and the role chaplains play in a disaster. She witnessed it firsthand having lost friends in the Oso disaster. 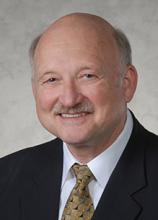 Gerry Zacher retired as President and co-owner of Meridian Center Electric, Inc. after 34 years of building a successful electrical contracting business which became the largest residential electrical contractor in Washington State. His years of service led him to mentor hundreds of young men and women in character building and work ethics. Today he spends his time gifting his talents to his local church and community and overseas missions. He lives in Shelton WA with his wife Doris and delights in spending time and fishing with his 5 grandsons. Gerry has been committed to this Chaplaincy since it’s beginning in 2008. 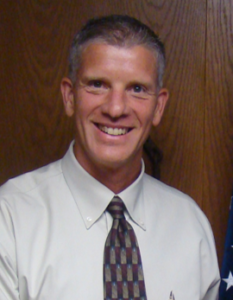 Ryan Spurling, Chief Deputy for the Mason County Sheriff’s Office and former WSP. Chief Spurling commands the new North Precinct. He also oversee’s the department’s Evidence and Property system, Animal Control, and is responsible for special projects and grants. 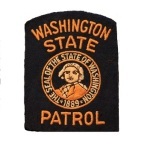 Steve Sutton retired from the Washington State Patrol in 2013 at the rank of Captain after serving twenty-five years. 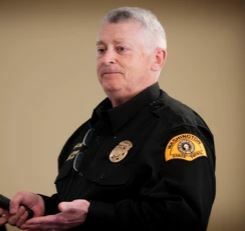 Steve was the District Commander in Bremerton before transferring to Olympia and assigned to the Investigative Assistance Division (IAD) in 2011. 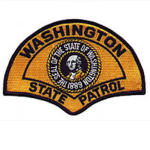 IAD provides investigative services, technical support, and training to the Washington State Patrol, law enforcement agencies, other agencies, and community groups to improve the quality of life in the State of Washington. The Division is comprised of the Narcotics Section, the Special Weapons and Tactics Team (SWAT), and the Special Investigations Section. 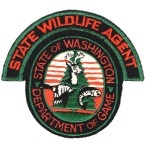 Captain Sutton was instrumental in implementing the WSP/WDFW joint chaplain program in 2011. Since his retirement, Steve Sutton has been serving as the Police Chief for the city of Lake Forest Park in King County Washington. Bruce Bjork lives in Lacey and is a retired Deputy Chief for the Washington State Patrol rising from the ranks of trooper after more than twenty-five years. 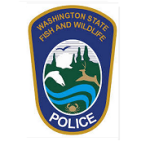 In 2013, after fifteen years Bruce retired from Washington State Department of Fish & Wildlife as the Police Chief. He is a past President of the Washington Association of Sheriffs and Police Chiefs (WASPC) and is currently employed as a Program Manager. 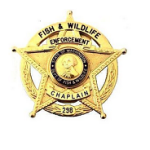 In 2009, Chief Bjork began a chaplain program with Chaplain Neil for the Department of Fish and Wildlife becoming only the second state in the union to implement a full time fish and wildlife chaplaincy. 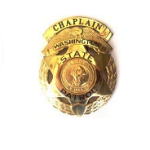 A bill was proposed and had to be passed into law by the Washington State Legislature for the department to have authority to use the services of a police chaplain. 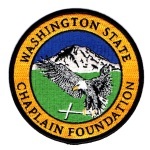 In 2011, Bruce Bjork worked with the Washington State Patrol to help create this joint chaplain program. He has now retired from state service in September 2015.
became a police widow in 1993 when her husband, Trooper Steven L. Frink was killed in the line of duty. 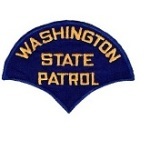 Steve was a motor officer with the Washington State Patrol. At the time of his death, their daughter Kari was 14 years old and their son, Christian, was 3 years old. Gayle worked through her grief by supporting families suffering the loss of their officer to a law enforcement line of duty death and supporting the police agencies affected by the loss of one of their own. She served at the national level as a board member of Concerns of Police Survivors (COPS), trained nationally for COPS as a lead-presenter on ‘The Traumas of Law Enforcement’ and trained at the CJTC Basic Academy on ‘Critical Incident Stress and the Family’. 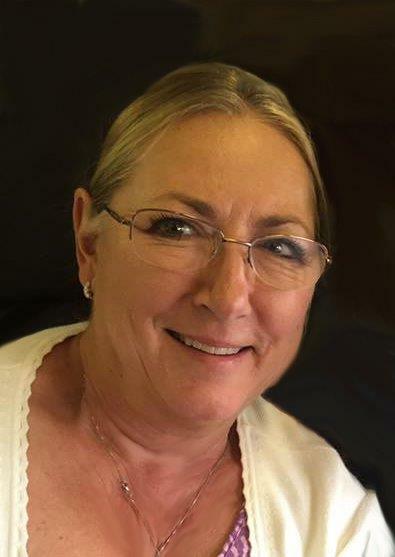 In 1994 she started the Washington State chapter of Concerns of Police Survivors along with three other police widows – Karen Hawn, Sedonia Cochran and Lois Masengale. 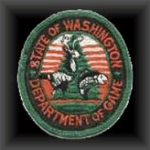 Gayle served as the president of WA State COPS for six years and was a board member of the Washington State Law Enforcement Memorial (WSLEM). She then served as the Executive Director for the Washington State Law Enforcement Memorial and 10-99 Foundations. She oversaw fundraising and construction of the Washington State Law Enforcement Memorial. Gayle is a founding member of Behind the Badge Foundation’s line of duty death response team; her role on the team is family support. She currently serves as the Program Director for Behind the Badge Foundation. Gayle received numerous awards for her outreach to law enforcement survivors. She received the Washington State Law Enforcement Medal of Honor Recognition Award in 2004, the prestigious Jefferson Award in 2003, the Red Cross American Hero award in 2003, the Meritorious Service Award, King County Sheriff in 2003, and the Commendation Award from the Clallam County Sheriff Department in 2000. Gayle is married to Randy Schulz, a widower since 1994. Their blended family includes Kari, Christian, and Elizabeth. Gayle and Randy are proud grandparents of two grandchildren. Major General (Ret.) Tim Lowenberg is the Vice President of Gordon Thomas Honeywell Government Affairs Law Firm providing support to clients across our Federal, Multi-State, Washington state and International business groups. Prior to joining the firm, he was the nation’s longest tenured Homeland Security Advisor and culminated a 44 year military career by serving as the Washington Adjutant General, a governor’s cabinet post he held from 1999 to 2012 where he commanded all Washington Army and Air National Guard Forces, served as the governor’s Homeland Security Advisor, and administered the state’s homeland security grants, Emergency Management and Enhanced 911 telecommunications programs. He was Chair of Homeland Defense and Homeland Security of the Adjutants General Association of the U.S. and Chair of the Governors Homeland Security Advisors Council. He was also a principal advisor to the Council of Governors facilitating governors’ work with the Secretary of Defense, the Secretary of Homeland Security and senior White House officials. He was the Chair of the National Guard Bureau Chemical, Biological, Radiological and Nuclear (CBRN) and Security Cooperation Activities General Officer Advisory Councils. He holds B.A. (1968) and Doctor of Jurisprudence (1971) degrees from the University of Iowa and has completed National Security Management studies at Syracuse University (1985), in-resident Executive Program studies in National and International Security at Harvard University (2000), in-resident Homeland Security Executive Leadership studies at the Naval Postgraduate School Center for Homeland Defense and Security (2007) and in-resident studies in U.S.-South Asia Engagement at Harvard University (2011). General Lowenberg has also served as an Adjunct Professor of Law at Seattle University School of Law and, formerly, the University of Puget Sound School of Law, since 1973 and is a frequent guest lecturer at Seattle University School of Law, the Naval Postgraduate School and other graduate-degree programs. He has twice been awarded the Defense Distinguished Service Medal (the military’s highest peacetime award) (1999 and 2012) and has been honored by Distinguished Service and Meritorious Service awards from twenty-one (21) states. In 2012, he was the National Emergency Management Association (NEMA) Lacy E. Suiter Award honoree for lifetime achievements and contributions in the field of emergency management. PPPHis extensive background gives him unique insights into public safety, defense and homeland security operations throughout the federal government and in governor-led initiatives in each of the states and territories.